So I finished it! My MAC palette. 15 (!) 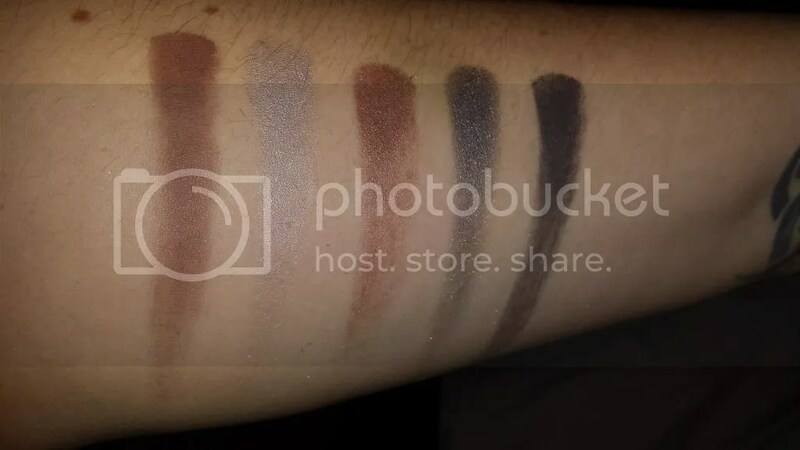 shades chosen to try and make an all-rounder palette, with eyeshadows (tested in store before purchase to ensure decent pigmentation and finish!) chosen to provide a range of colours suitable for any of my make up needs. I apologise for how mucky the palette is! I cleaned it only the other day, I promise. 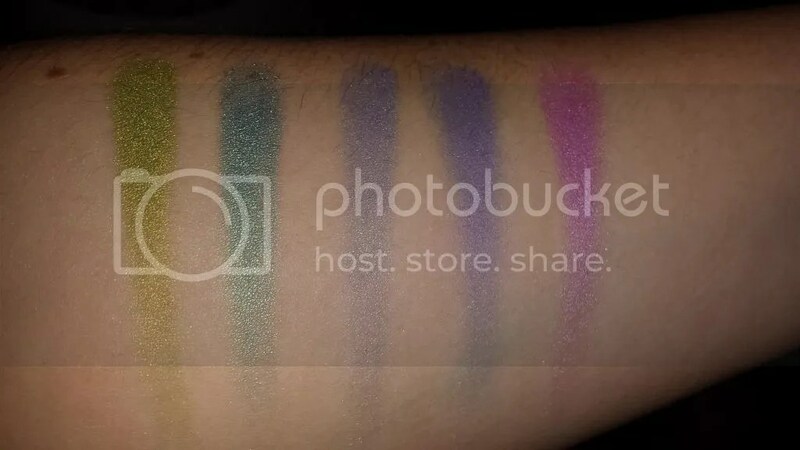 Not all of these shadows have photographed well in the palette so I have swatched them for you as well. L-R I have (top row) Lucky Green, Steamy, Tilt, Parfait Amour, Stars N Rockets; (middle row) Da Bling, All That Glitters, Woodwinked, Sable, Cranberry; (bottom row) Handwritten, Electra, Club, Knight Divine and Typographic. 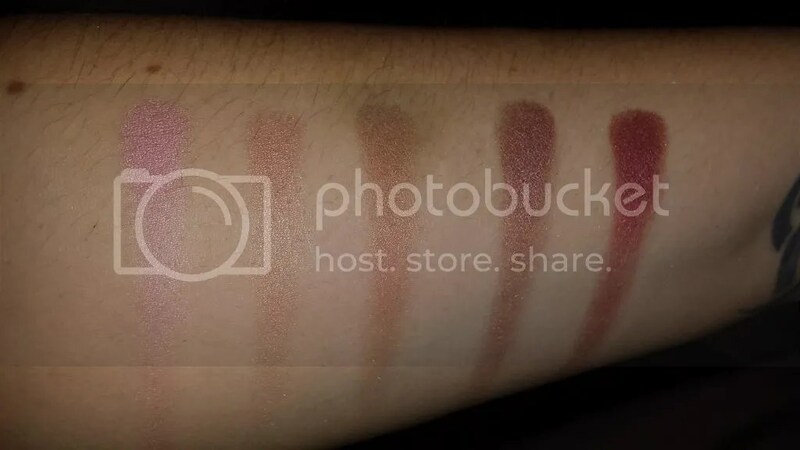 All swatches are photographed with flash, by the way! Lucky Green– this is such a pretty, yellow green. It almost has a hint of gold running through it and looks lovely paired with lots of different colours. Steamy– I really like this one. A greeny blue with gold shimmer it’s lovely and pigmented and easy to blend. Tilt– This is beautiful, with a really subtle almost iridescence. It looks really similar to Parfait Amour here but it’s much bluer on the eyes in my opinion. Parfait Amour– A bluey-violet with a fairly subtle shimmer. It’s packed with colour and just a beautiful purple. Stars N Rockets– This pinky purple has a magical quality; it’s fairly sheer with one swipe but is iridescent and beautiful, and easy to build up the colour if you want. Looks beautiful packed on top of darker colours. Da Bling- A golden pink, really pretty. I think I should have chosen Naked Lunch to go in my neutral row, but I really do like Da Bling. It’s easy to pair with lots of different shades and goes well with Stars N Rockets for a super girlie eye! All That Glitters– Everyone knows and likes All That Glitters. A great shade with golden shimmer in a neutral eye but also as a base for more interesting looks. Woodwinked– Again, everyone knows Woodwinked! An antiquey, browny gold, it’s beautiful on it’s own and paired with a number of other shadows. Sable– This eyeshadow is my lazy eye go-to. A really pretty and unusual golden, plummy brown with a slight duochrome, I just blend it out over the whole of my lid and into the crease and I’m ready to go. Cranberry– Surprisingly wearable. A beautiful shimmery dark and plummy red. Handwritten– A beautiful, soft matte chocolate brown. This is my go to crease shade for a neutral eye. Just a touch in the outer corner and through the crease is perfect. Electra– An icy, cool silver, Electra is beautiful as a base or highlight in a smokey eye. It’s really pretty. Club– Possibly one of the most well known of MAC’s eyeshadows, Club is the infamous reddy taupe with a green duochrome. It’s beautiful in a whole range of looks but I also think this is like a one-shade smokey eye. Knight Divine– A decently pigmented black with enough silvery shimmer that it is more f a dark grey, I love Knight Divine in a smokey eye or to smoke out other shades. Typographic– MAC call this an ‘asphalt’ black; I think it’s the perfect, deep charcoal colour. It’s matte, it’s insanely pigmented and much better than Carbon. I think I have a really good selection of colours in my palette, but honestly I can see myself expanding and making a neutral palette, a green/blue palette, a purple palette, a dark palette… oh dear! 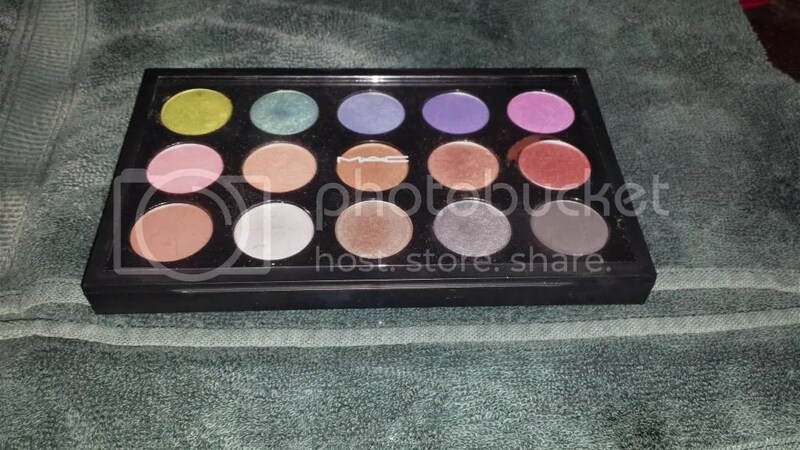 Do you have any MAC shadows? 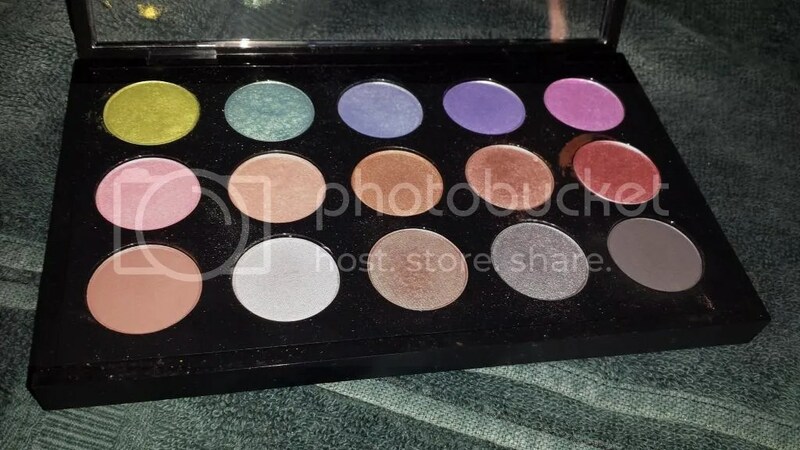 Have you ever been tempted to put together your own palette? 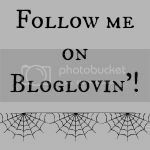 This entry was posted in Beauty, Hair, Makeup and tagged club, custom, Eyeshadow, MAC, makeup, palette, woodwinked. Bookmark the permalink.